It's been show-after-show-after-show for me this year (somewhere around 30 to be exact). I've also been back and forth to the doctor, working on getting my blood pressure under control, and, ruling out other possible issues. I just got through The Mistletoe Market in Chesterton, IN, all while wrestling with a horrible cold. So, I'm looking forward to my last show of the year. 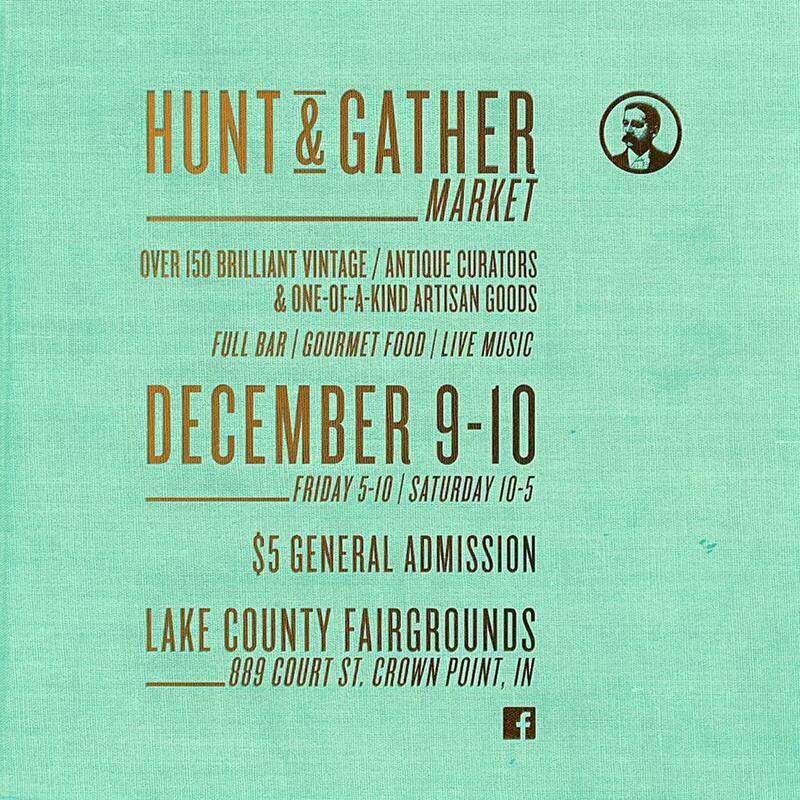 What better way to end my show season (or should I say year) than with the Hunt & Gather Market in Crown Point, IN. It'll be a wrap after this. I'm ready to chill, decorate, and, enjoy Christmas with family and friends. I need to rejuvenate. I'll also have more time to work on my Etsy, and, share pics with you all. Your show looks amazing! Sure hope you are getting your blood pressure under control. I just recently had to start taking pills. Darn, it's always been good, but the last few times I've seen a dr. it was slightly elevated so he decided to put me on one. I am not a good pill taker, but so far; so good. Rosemary, you have GOT to keep yourself well! My good friend is working through that blood pressure mess right now and is now on her 8th different medication in an attempt to find one that works. Keep after it. 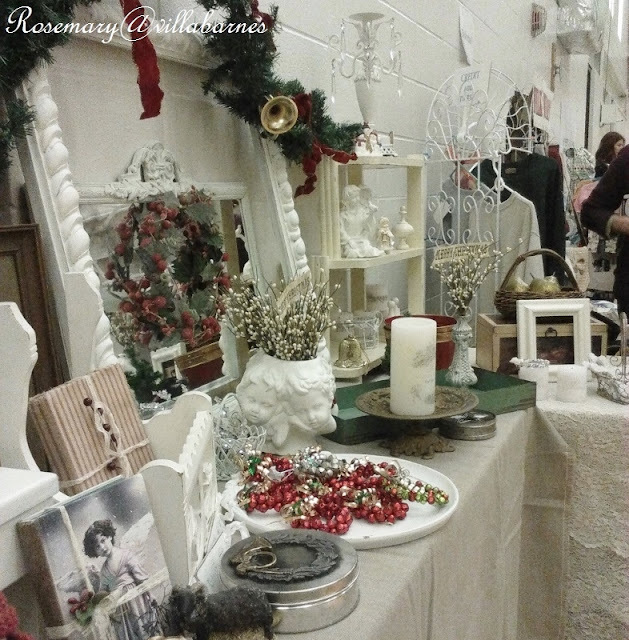 Your picture from the Mistletoe Market is a delight! I would SO love to attend a show where your treasures and creations are featured!! I'm not too far (Missouri), but just far enough. The hubs and I will have to plan on a road trip this summer...to IN. 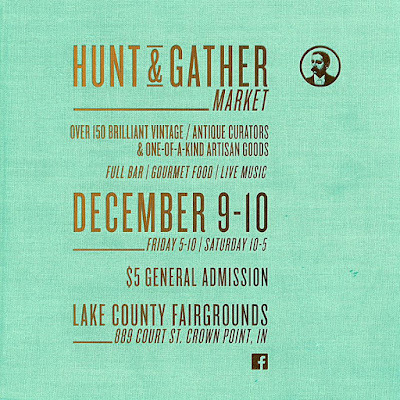 Good Luck at the Hunt and Gather Market and after that...REST and have a Blessed Christmas. Thanks for your concern Judy. I'm trying to stay well. It would be great to meet you at some point. Your creations are always beautiful and leave me longing to live close enough to attend one of your showings. Thanks for all the inspiration to make things beautiful. I fought taking blood pressure pills also at about age 50 however the doctor and nurse convinced me taking a pill is better than having a stroke and being paralyzed on one side, think about this?